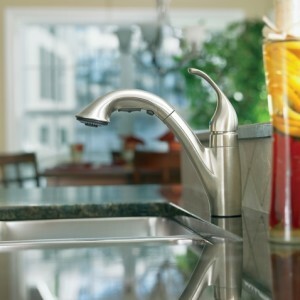 Landmark has an excellent selection of top brand name fixtures and faucets. Moen, Kohler, Delta, Hans Grohe and Danze are just a few of the names that customers have come to know and trust for both kitchen and bath. Tubs, shower doors, sinks, toilets and accessories complete the full bath remodel; we offer American Standard, Kohler, Toto, Basco and Sterling, among others. We will assist you in finding exactly the right product for your needs, making your one-stop shopping experience enjoyable, productive and just your style.